Glenbrook Primary School is hosting two public consultation events later this week for residents to find out more about plans to rebuild the primary school and outline plans to put a brand new secondary school on the same site on Kings Avenue. 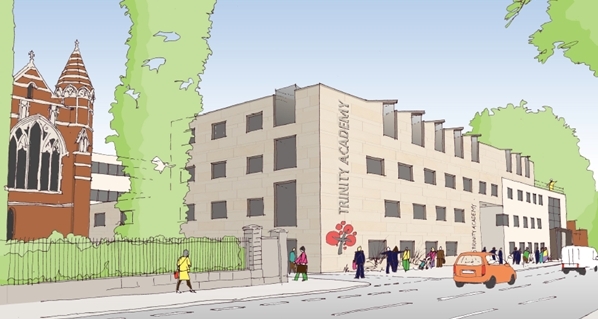 The plans for the new school buildings have been given the go-ahead by the Government and a planning application will be made shortly. If approved, construction would start this summer and is expected to be completed by September 2018 for the primary school. Residents will also be able to comment on suggestions for the proposed secondary school’s name. Developers Bowmer & Kirkland, in partnership with the school, will host two public consultation events at Glenbrook Primary School on Friday 10th March, 15.30 to 20.00 and Saturday 11th March, 10.00 to 13.00. Residents are invited to come along to find out more information and to have questions answered. Giving local children the best start is one of our top priorities – and we need your help to ensure disastrous plans to slash funding to local schools do not put education at risk. Ensuring every child in a primary school has access to a free breakfast – an election promise in 2014 that we have delivered. Enabling the expansion of the popular Sudbourne Primary School over the next few years and the opening of the new City Heights Academy in 2013. Helping put Lambeth in the top 10% performing areas in the country, with 90% of all primary schools getting a good or outstanding rating.